Full lips can give your face a youthful look. Lips attract the attention of your partner during a conversation and express your emotions. Yet there are many people dissatisfied with their own lips. They may be too thin, so that a face is less expressive. With a lip augmentation, we make your lips fuller, we accentuate certain parts of your lips and we can take away the wrinkles that affect the shape of your lips. Is this something you take into consideration? The following information may be of interest to you. For a lip augmentation or to make your lip more fuller we use injectables, so called ‘filler’. By this term we mean all substances, which are inserted with an injection needle in the skin. Think for example of a Botulinum toxin treatment in the prevention of wrinkles. Or inserting fillers to get local volume and softer forms like cheeks or cheekbones. A treatment with injectables, and mainly with fillers, can provide lip enhancement or just those spots, which have given wrinkles so your lips are fuller and more beautiful. The application of fillers in lower or upper lip will give your lips more volume and make them fuller. Treatment with fillers is especially considerable if your lips are not symmetrical. If you are suffering from so-called smoker’s lines on your upper lip, treatment with fillers can also provide a solution. Accentuate your edges of the lips may also be a good option to give your lips the desired shape. Fillers are introduced drop-by-drop, together with lidocaine, which provides for local anesthesia. The area around your lips can benefit from treatment with fillers. Think of the laugh lines between the nose and lips, or the so-called marionette lines that run from your mouth to the jawline. Treatment with fillers ensures that your mouth will hang less and will get your lips a natural, younger look. Dr. Decates uses Juvéderm for lip augmentation. Juvéderm is a biodegradable filler which contains hyaluronic acid, a substance that is found naturally in your body. Do you want a treatment with injectables, whether you opt for Botulinum toxin or a filler like Juvéderm, which is safe and is performed according to current protocols? Do you want to work just with specialists and products from A-grade? Then Dr. Decates is worth considering. 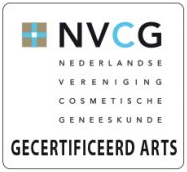 He is BIG registered and operates in accordance with the protocol of the Dutch Association of Cosmetic Medicine (NVCG). Dr. Decates conducts scientific research into Fillers and Botulinum toxin. He is chairman of the complication and registration committee of the NVCG and gives lectures on Botulinum toxin and Fillers worldwide. We only use injectables of A-grade. At Dr. Decates you get a medical passport which clearly states which injectable have been given to you. Are you interested in a great treatment for your lips? Are you looking for a clinic that works with a aesthetic physician with extensive experience, and you want good personal counseling and aftercare? Please feel free to contact us. We are happy to help you. Send an email to Dr. Decates!